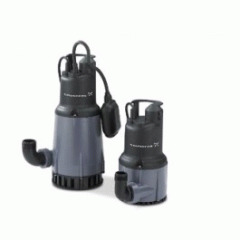 Submersible Pumps specially designed for your drainage use. KPBasic Pump Series designed mainly for automatically operated fixed applications in domestic use, draining basements and garages which are subject to flooding. Its compact, easy-to-handle form makes it a portable pump for emergencies such as lifting water from tanks or rivers, emptying swimming pools, fountains, excavations and underpasses. Also ideal for gardening and hobbies in general.